Missouri Contemporary Ballet (MCB), in collaboration with Odyssey Chamber Music Series, is proud to present Music in Motion. This production will be held at Missouri Theatre Center for the Arts on Friday, March 7th at 8:00pm and Saturday, March 8th at 2:00pm and 8:00pm. This is Odyssey Chamber Music Series’ 10th anniversary under Artistic Director Ayako Tsuruta. Ayako wanted to collaborate with MCB in celebration of the arts in the Columbia community. In each work, musicians will be set in various places on stage and in the pit. This unique arrangement gives the artists, dancers and musicians, to interact with each other’s space during the performance. This production will feature four works, three of which are world premieres. The first piece is an original by MCB Artistic/Executive Director, Karen Mareck Grundy, set to ‘Prokofiev Sonata for Two Violins’ performed by Amy Appold and Siri Geenen. There are four sections to the piece: The first focuses on levels, the second has solos driven by the music, the third is an adagio section, and the fourth is a mix of the previous three. The second premiere is by MCB’s Resident Choreographer, Shannon Lee West. It is set to Jacob Ter Veldhuis’ Billie with members of Trio Chymera. Shannon is using the full company for this high-energy work that embodies the mood of the 30s and 40s. The third premiere is also by Karen Mareck Grundy, set to Stravinsky’s “L’histoire du soldat” for an ensemble with Amy Appold, violin; Sam Copeland, double bass; Paul Garritson, clarinet; Elizabeth Roberts, bassoon; John D. Perkins, trumpet; Timothy Howe, trombone; Julia Gaines, percussion, and Leo Saguiguit, conductor. “Stravinsky is a very powerful composer. I was inspired by that power and translated it into the choreography,” Karen explains. MCB will be bringing back May…Or May Not by Giordano Dance Chicago’s Autumn Eckman. Originally premiering in our 2012 show, LIVE: Experience the Journey, this piece explores the different elements of relationships: give and take, miscommunication, and stubbornness. This work is set to an arrangement of Astor Piazzolla’s “Meditango,” performed by Trio Chymera. Tickets are $19-$29 for adults and $10-$15 for students and youth. Our Opening Night, March 7th, is Student Night; Student and youth tickets are only $5-$8. Student and youth tickets are intended for currently enrolled college, K-12, and MCB students. Tickets can be purchased at the Missouri Theatre Center for the Arts box office, 573-882-3781, or at www.concertseries.org. Ring in 2014 at Columbia Eve Fest! If you’re looking for a New Year’s Eve the entire family can enjoy, make your plans now to attend Columbia Eve Fest! We are excited to be going into the New Year with new beginnings as Columbia Eve Fest! 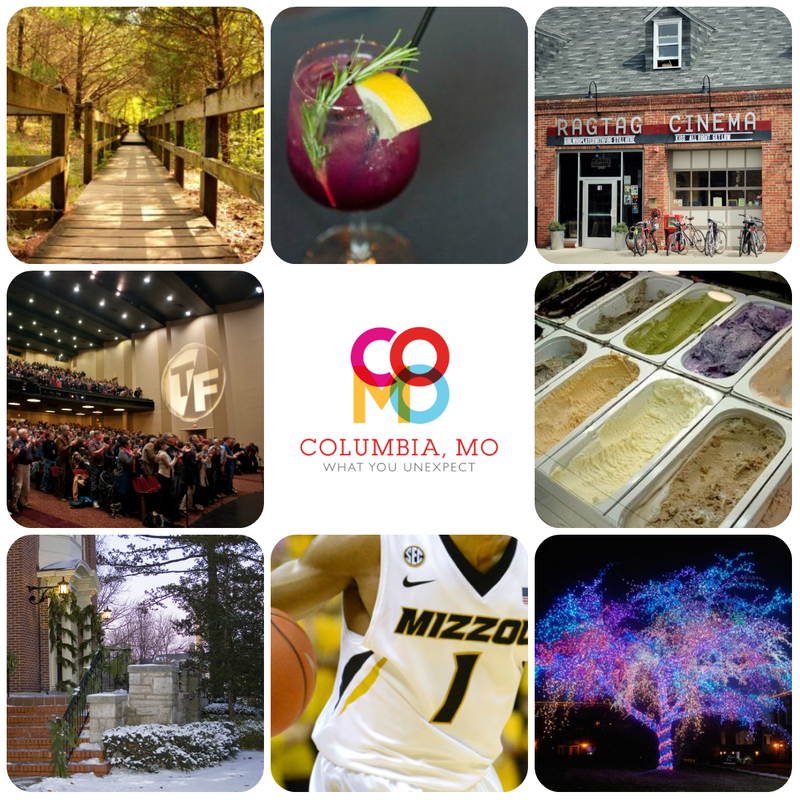 We have lots of fresh, fun festivity planned for your New Year’s Eve celebration in downtown Columbia, Missouri. We will continue to bring high quality local, regional and national entertainment to our stages. The festival continues as a not-for-profit, culturally diverse, non-alcohol, family friendly event for all ages. The footprint of Columbia Eve Fest will be slightly different from previous years as First Night Columbia. We will be compacting the festival into a “block party” location. We believe this will be safer and more participant friendly in regard to challenging weather conditions. Our popular 5K Run/Walk will continues to inspire our participants to start the new year off with a healthy beginning at 4:00 p.m. in front of Cyclextreme. The other venues will be located in the Missouri Theatre, Columbia Art League and the Missouri United Methodist Church (7 venues). We will also be closing off the block of 9th street located between Elm and Locust and utilizing the closed street as a convenient, safe path for participants. It will also be an outdoor venue featuring lots of fun activities, the Children’s Finale and the Grand Finale. If the weather is hazardous, we will be able to move the Children’s Finale into the Methodist Auditorium and the Grand Finale into the Missouri Theatre. Be sure to check out the schedule for all of the entertainment information and you can purchase your passes at the ARC as well as all Gerbes Supermarkets. Spend a fun, safe and musical New Year’s Eve in The District. Happy New Year! 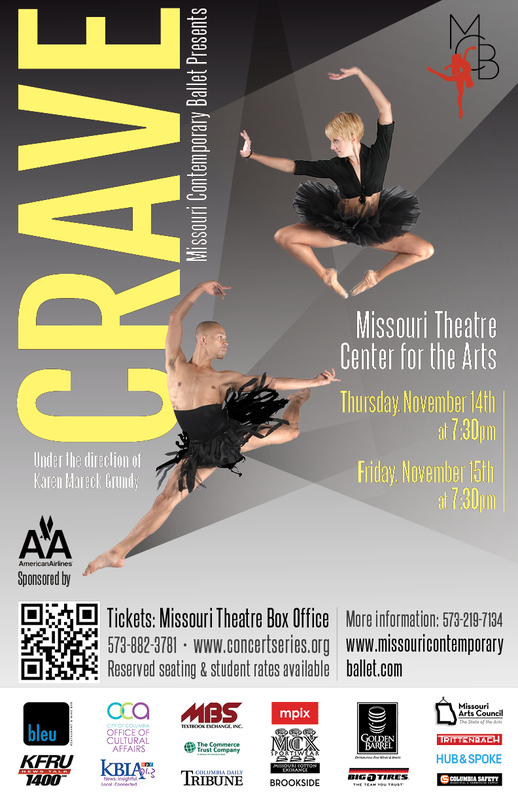 Missouri Contemporary Ballet (MCB) is proud to present its eighth annual fall production of ‘CRAVE,’ sponsored by American Airlines. This production will be held at Missouri Theatre Center for the Arts on Thursday, November 14th and Friday, November 15th at 7:30pm. This production will feature six works, three of which are world premieres. The first piece is an original by MCB Artistic/Executive Director, Karen Mareck Grundy. Don’t Tell features the entire 10-dancer company and was inspired by the headline news of Russia’s persecution of the LGBTQ community. “I am an adamant supporter of LGBTQ human rights and wanted to translate my feelings on the subject into movement. This is my personal reaction to every type of oppression taking place,” explains Grundy. The second premiere, Welcome to the Men’s Room, is by MCB’s Resident Choreographer, Shannon Lee West. With a hint of whimsy mixed in with her signature extreme lines and off kilter-movement, West is creating a men’s trio that is based around how humans hear and perceive sound. With a focus more on exploratory movement and less on technique, West keeps her rock aesthetic while carving a new path for herself choreographically. The third premiere is by Bryn Cohn, a guest choreographer based out of New York City. One on One is about how we experience the idea of ‘one;’ one with yourself, one with someone else, and one with a group. The work explores the idea of ‘one,’ both emotionally and structurally. MCB will be bringing back The Current State of Life by Giordano Dance Chicago’s Joshua Blake Carter. Originally premiering in our 2011 show, EVOKE, this piece reflects on the ‘current state’ of our world. MCB will be performing another work from 2011, The Dirt Beneath by company member Alex J. Gordon. Gordon’s piece looks at the exterior ‘faces’ that people wear for their peers. 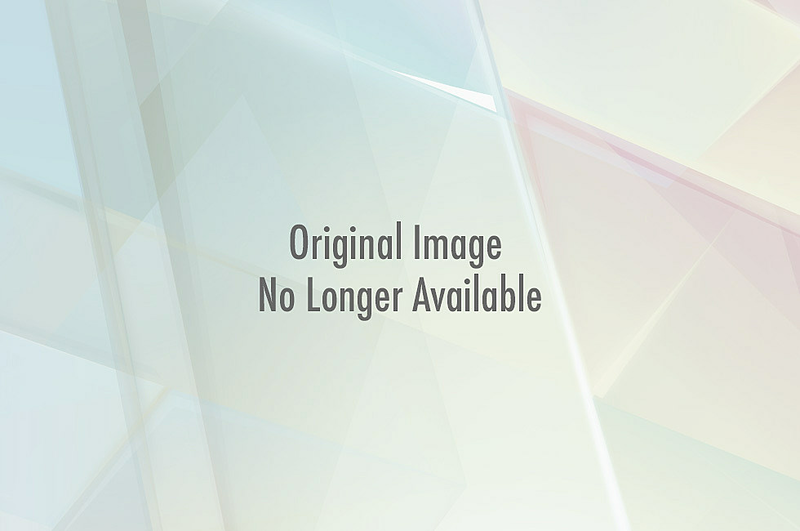 The sixth work, Nigel and Marian…A story, by Karen Mareck Grundy premiered in 2009. The piece follows a young man who is guided by two opposing angels to meet his counterpart. Tickets are $19-$29 for adults and $10-$15 for students and youth. Our Opening Night, November 14th is Student Night; Student and youth tickets are only $5-$8. Student and youth tickets are intended for currently enrolled college, K-12, and MCB students. Tickets can be purchased at the Missouri Theatre Center for the Arts box office, 573-882-3781, or at www.concertseries.org. Thanks to Joanne Sandorfi for guest blogging for this event. Sometimes it can be difficult to describe our favorite parts of Columbia. One of those things is Ragtag Cinema. Why? Because it’s so much more than just a theater! Here’s a little recap of my latest trip to Hittsville (the complex that houses Ragtag, Uprise Bakery and 9th Street Video). After seeing Twenty Feet from Stardom at this year’s True/False Film Festival, I decided that my mom needed to see it. She had never even been inside Ragtag, so I figured it was the perfect opportunity to give her the full Hittsville experience. I bought our tickets online (so easy!) and planned for us to have dinner at Uprise before the show. Mom was pleasantly surprised at how big the interior was, with lots of open seating and people studying mixed with people enjoying happy hour. We both opted for the bacon, apple and cheddar sandwich for dinner and it did not disappoint. Freshly baked bread surrounded smoky bacon, crisp apples and melted cheese. There’s also always a great variety of beer on tap; I opted for a pear cider. We also both chose a cookie for during the film. That’s right, you can take your food and drinks right into the theater! 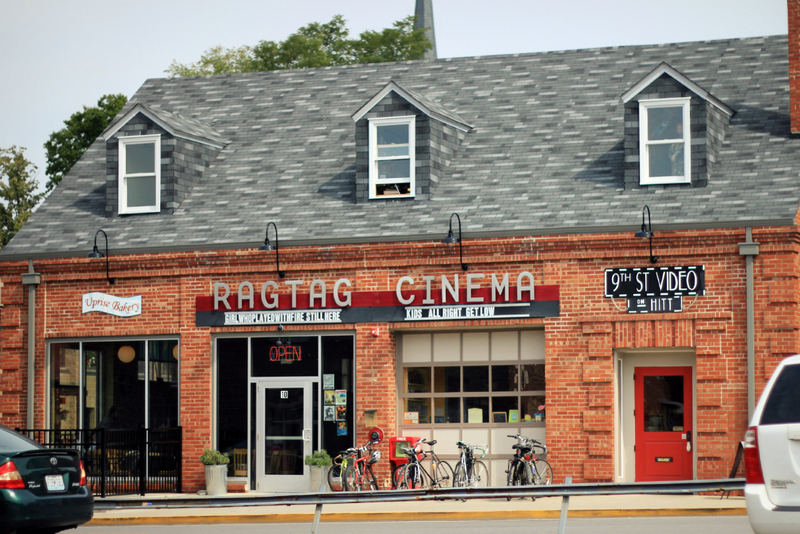 Ragtag is home to two theaters, Big Ragtag and Little Ragtag. Little Ragtag is a collection of couches and chairs and has a more casual atmosphere. We settled into Big Ragtag’s theater seats and enjoyed Twenty Feet from Stardom, which chronicles the history of the back up singer in musical culture. After the movie, Mom couldn’t stop talking about it. I think I’ve created a new Ragtag fan. Ready for Roots ‘n Blues? What do Mavis Staples, The Black Crowes, John Hiatt and Blues Traveler have in common? Easy, they’ll all be in Columbia during the Roots ‘n Blues ‘n BBQ Festival! 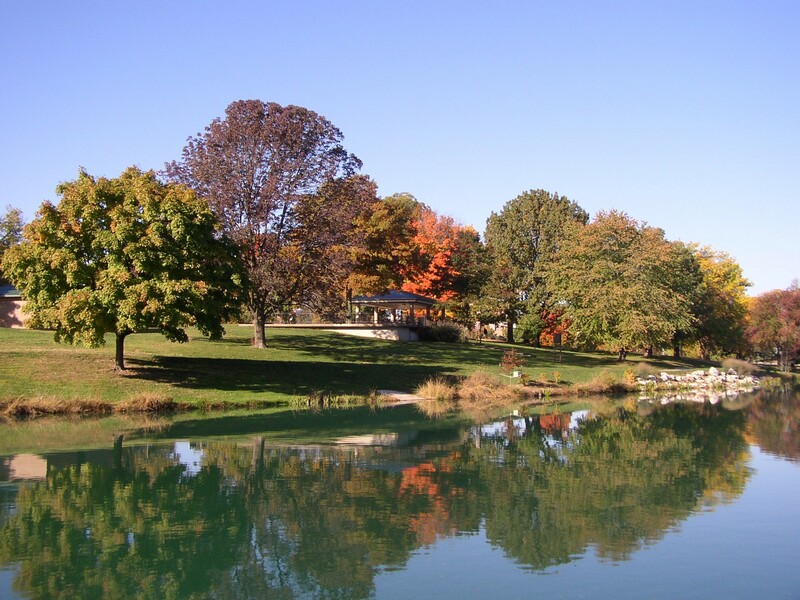 Tickets are on sale now for this annual event that’s moving to a new location this year…beautiful Stephens Lake Park. While the venue will be different, you can still expect the same amazing atmosphere, world-class musical artists and outstanding barbecue, all in a picturesque setting. There are also other events planned around the festival, including music showcases and a film screening, plus the always popular 10K and Half Marathon. 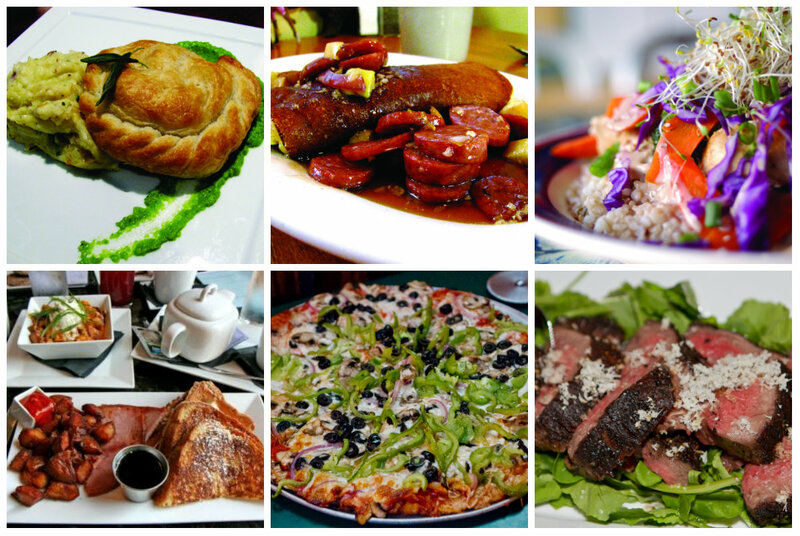 It’s sure to be a busy weekend enjoy friends, music and food in Columbia! 9th Street Summerfests are Back! Columbia is a little more quiet in the summer. Many of the students are gone and the pace slows down for a few months. But on a few summer nights, downtown gets loud with the return of 9th Street Summerfest concerts! These fantastic outdoor events are on 9th Street between Broadway and Walnut, outside the famous Blue Note. The entire block fills with fans with food and drinks for sale the entire evening. 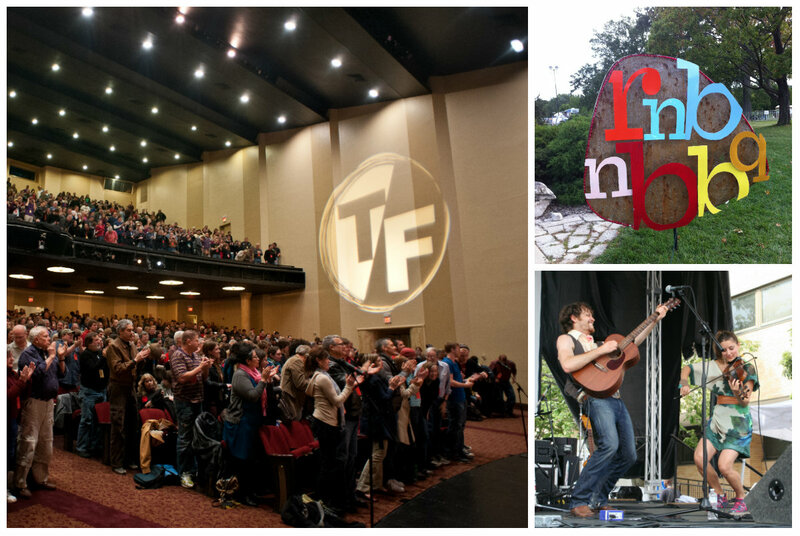 Summerfests bring in an eclectic mix of musical acts to entertain…check out this summer’s lineup! The Urge – July 12th – Free Show! Reverend Horton Heat – August 16th – Free Show! Attend one or attend them all! For free shows, just get there early to claim your spot. For the others, get tickets now! We’ll see you downtown to celebrate one of Columbia’s great summer events.